Today, I'm on day 3 of a 5 day conference being held in Palm Dessert, California. I was hired to tell the story of the 5 day event through still images. I'd say that makes me a photojournalist. 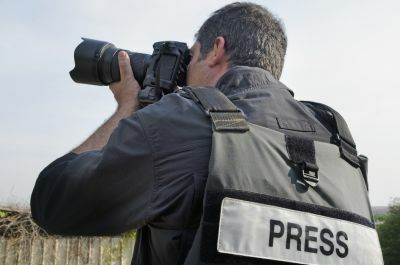 The technical definition of a Photojournalist involves the use of images to tell a news story. But I if the word "news" is removed, photojournalism is then left with the use of images to tell a story. To me, images tell a story no matter how simple the image is. There's a reason that a picture is worth a thousand words.